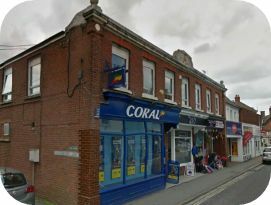 New Forest District Council: Pure Town Planning have recently got permission for the conversion of existing office space on the first floor above retail units into four one-bedroom flats and one studio flat under the permitted development prior approval system in Ringwood. Our regular readers might recall in March of this year we announced that the government had made the permitted development rights for Use Class B1(a) (office) to Use Class C3 (residential dwellings) permanent with effect from April 2016. Unlike a full planning application, a prior approval application for B1(a) to C3 permitted development can only be considered on the following four issues flooding, contamination, highways and transport issues and noise impact. As such the permitted development route potentially allows conversions which the Council would not normally consider acceptable – on grounds of loss of employment. Furthermore, the Council must make a decision on these prior approval applications within 56 days of the date of validation. So if you have office space (small or large) and think that you can get it converted and inhabited why not give us a call for a free confidential discussion.